Around 540 million years ago, a wrinkled, bag-like sea creature measuring just one millimeter (0.04 inches) in size nestled between grains of sand on the ocean floor in what is now central China. It was oval in shape and symmetrical, and its most striking feature was its large mouth, which it used to engulf particles of food, or even other miniscule creatures. Meet Saccorhytus coronaries, the species that scientists in a new study believe is the earliest known step on the evolutionary path that led to fish and—eventually—to humans. An international team of scientists uncovered the microfossils of the speck-size creature they are calling Saccorhytus coronaries in Shaanxi Province, central China. 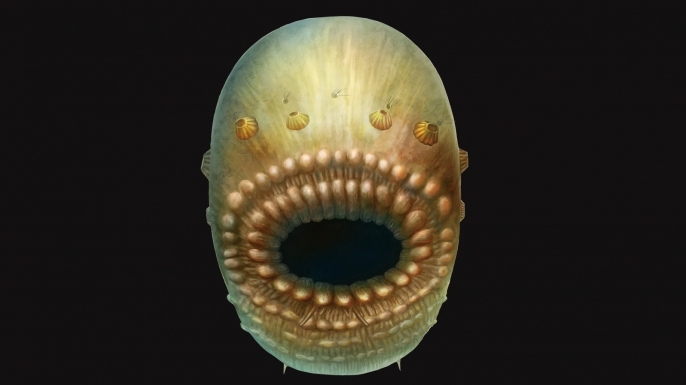 According to their findings, published this week in the journal Nature, Saccorhytus lived 540 million years ago, during the early Cambrian period, when a shallow ocean would have covered the region where it was found. At that advanced age, it is believed to be the oldest known member of a category of animals known as “deuterostomes,” which are common ancestors to a wide range of other species, from starfish, sea urchins and acorn worms to the large group classified as vertebrates (backboned animals). 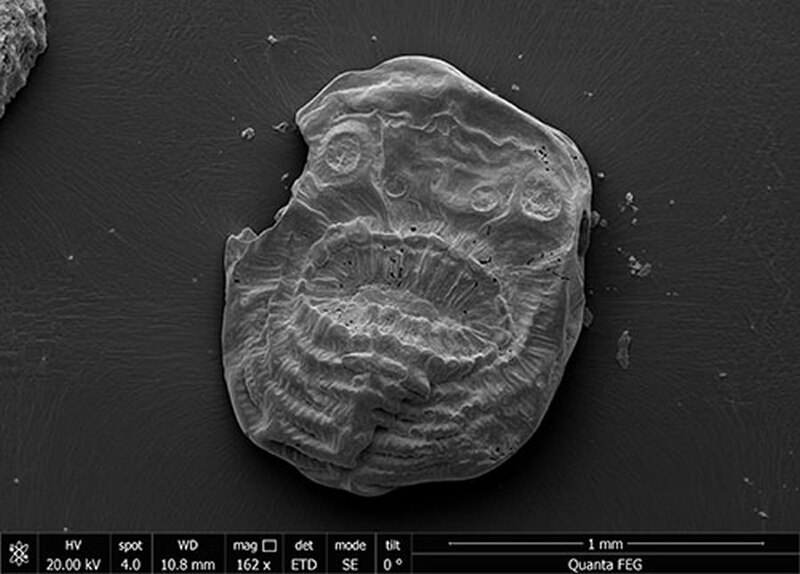 After first isolating the 45 individual microfossils from the surrounding rock, and then studying them both under an electron microscope and using a CT scan, the researchers were able to construct a picture of what the creature must have looked like. Its body was oval in shape and symmetrical, a characteristic passed down to many of its descendants, including humans. Around one millimeter (0.04 inches) in size, it was covered with a thin, relatively flexible skin. According to the researchers, this suggests the creature had muscles beneath that skin, and that it may have moved by contracting those muscles and wriggling around. Scientist say so, so it must be true. Rmfe's.